Fall fashion usually means leather jackets, suede shoes, and dressy hosiery. Although this autumn is no exception, Fashion Week 2015 showed us many new styles for the upcoming season. 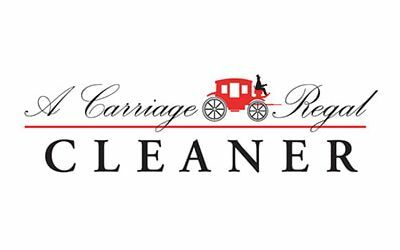 As you swap your linen for suede in the following months, you can breathe a sigh of relief knowing that A Carriage Regal Cleaner offers dry cleaning services for your delicate fall fabrics. Now that you know you have access to high-quality care for your high-quality textiles, you can be on the look-out for this season’s newest Fall trends. Here are some of our favorite fall trends from Fashion Week. Last year, fringe skirts were all the rage, beckoning nostalgia for the bohemian looks of the seventies and the flapper dresses of the twenties. This year, Fashion Week offered a polished variation of the embellished garment with the pleated skirt. As designers like Dior and Oscar de la Renta showcased the sartorial apparel, it became clear that the pleated skirt will be a staple in the fall wardrobe of many. When paired with a tailored top, the pleated skirt is your go-to for a refined look. A little black dress is the easiest way to look chic…but what about maximizing on the color? Alexander Wang was the first to offer a goth look in New York’s fashion week as his models walked the runway in head-to-toe black. Designers of Milan, Paris, and London soon followed suit. Notable looks include Givenchy’s black trench coat with black beading on the sleeves, Comme des Garçons elaborate, black tulle gowns, and Alexander McQueen’s paper-thin black leather trouser suit. The trend of all-black attire became affectionately known as “goth girl,” so channel your inner Wednesday Addams this fall with chic, head-to-toe black. Who says the boho look is only for the summer? If you’re skeptical that you can successfully pull off a bohemian look in October, look no further than the designs of Chloé, Ralph Lauren, and Rosetta Getty. These designers had their models strut their stuff in bold colors, gowns, and eclectic patterns. The most beloved garment to come out of the bohemian trend is flare jeans. Get out of your skinny jeans and give your ankles a little room with flares. As you experiment with fall trends this season, you are likely to incorporate special fabrics like silk, leather, and suede. Although these textiles require special care, A Carriage Regal Cleaner offers special dry cleaning services to keep your clothes looking new.